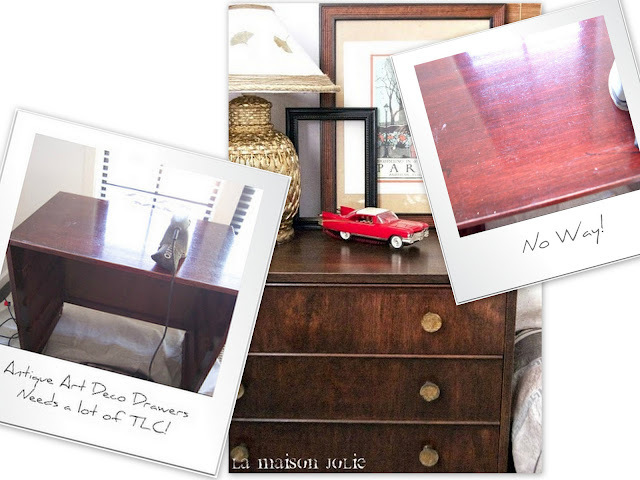 La Maison Jolie: Ugly Rose Stained Antique Dresser Makeover & A Fun Vignette! 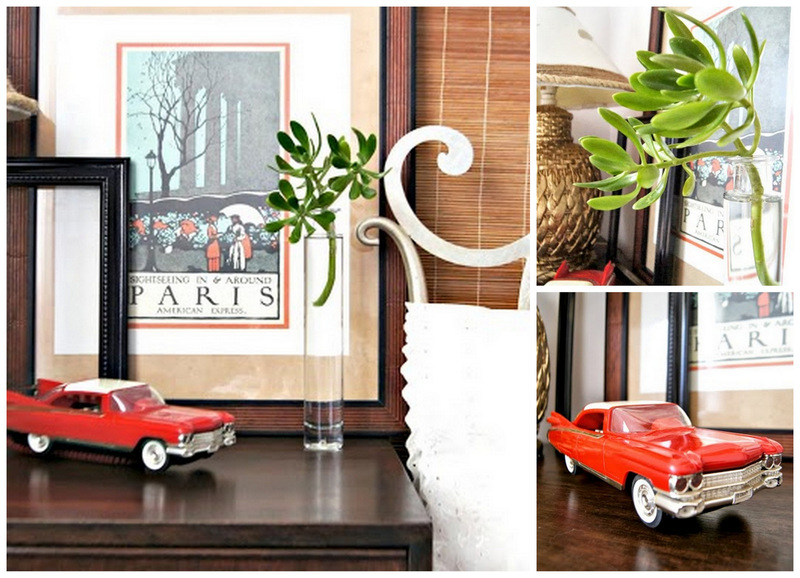 Ugly Rose Stained Antique Dresser Makeover & A Fun Vignette! Well, thank you to all of you who responded and gave me some great advice. 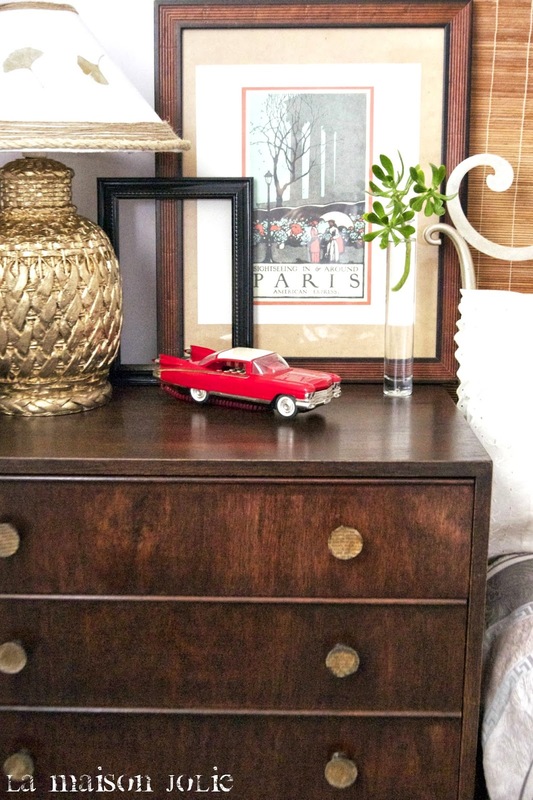 This antique dresser was an ugly rose-tinted piece. And it took hours and hours of work to strip the rose/mahogany stain off with an industrial stain and varnish stripper that I bought from Bunnings Warehouse. I finally managed to get it all off and then sanded it down well, stained it with a dark walnut stain and finished with a coat of Cabot's Danish oil for a mellow shine. I painted the handles with black acrylic paint and then decoupaged them with french verbs and sealed them all. It was cheap way to complete the job. 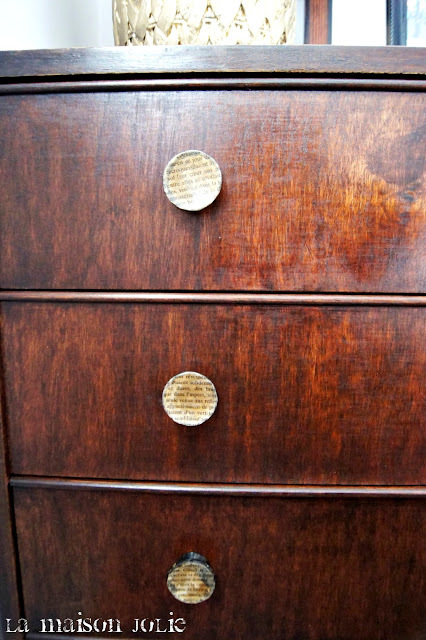 I might change my mind tomorrow and get a few nice antique gold drawer pulls to match. It looks so much better now that it's no longer a reddish pink, but a dark 'walnuty goldenish' colour instead. I can honestly say the dresser looks even better in person! The dresser now sits in my main guest bedroom downstairs giving the room some much needed storage. Can you ever have enough storage!?! 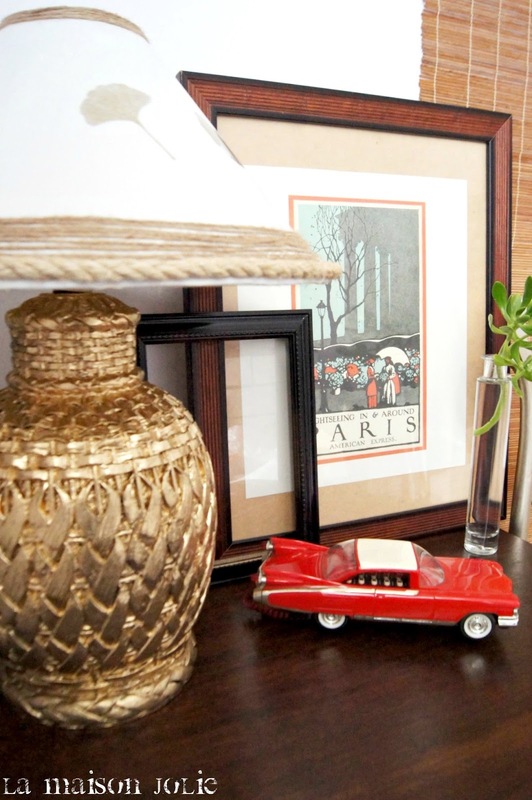 You can see a part of the antique gold bed frame. It's the Priscilla bed from Freedom Furniture. I think it has been discontinued. I loved it the minute I saw it. I was contemplating painting it white or black but I think I'll leave it as is, since the lamp and the bed frame are working well together. I decided to put together a few things to make a vignette on the new dresser. 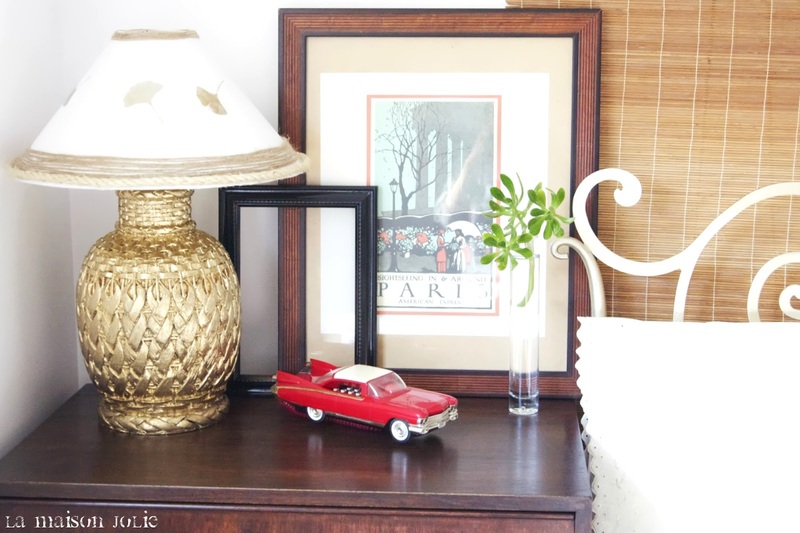 Some bling?…How about a gold lamp? Some metallic gold spray paint did the job. I randomly added a few gold leaf removable stickers from the dollar store and I think it looks quite pretty, fun and feminine now! The vintage car is actually a phone! But it's not connected. 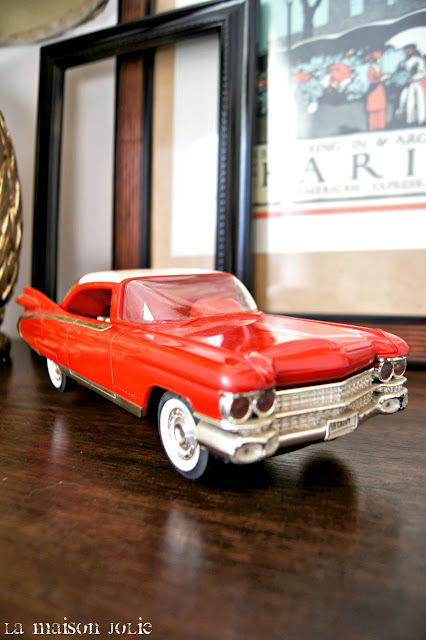 I just used it to add a fun element to the vignette. And the reddish orange car matches the border of the poster. 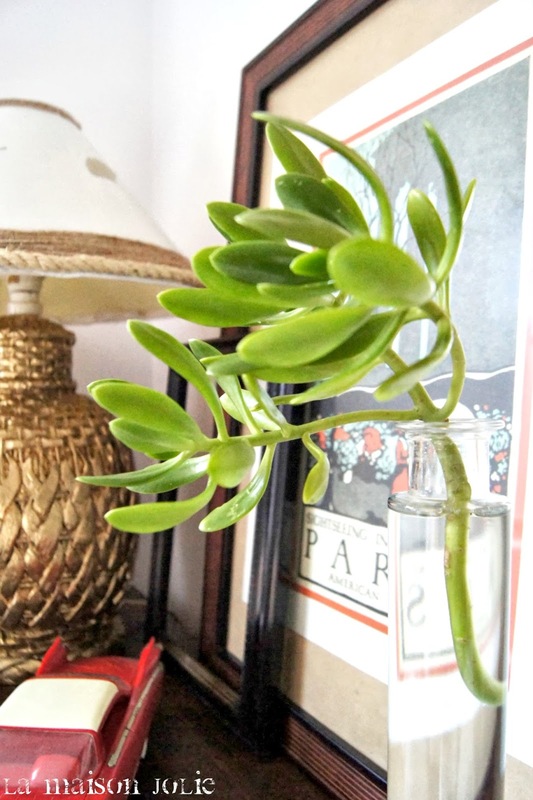 A pop of green from the garden in a vintage oil bottle. I framed a poster of Paris that a friend gave me. I already had the frame stored away. And the colours are earthy and rustic, so they complement each other. Along with the wooden frame I added a smaller black one. I layered it on top of the bigger frame to give the vignette some depth. 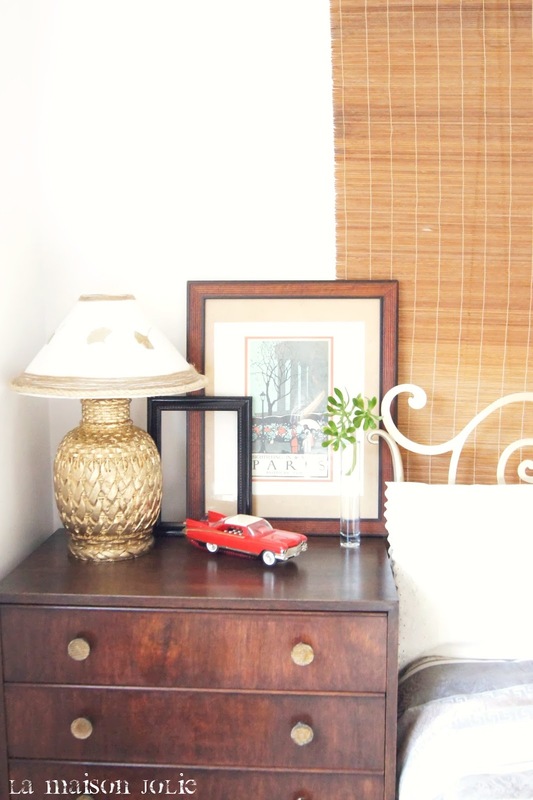 The backdrop behind the bed is a large bamboo blind that is hung from couple of hooks. 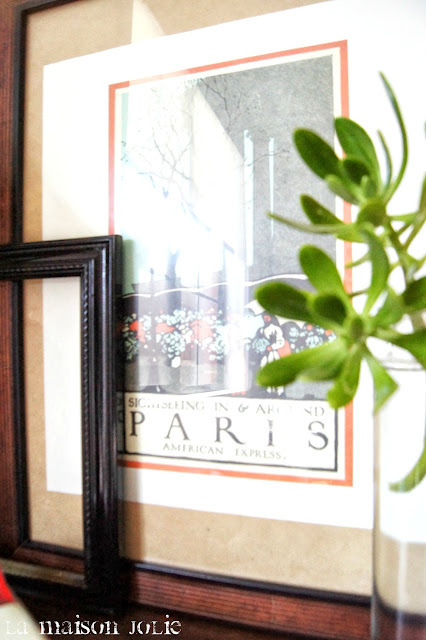 Originally I wanted an accent wall that I could easily change. But now I'm not too sure it works. Might have to take it down. 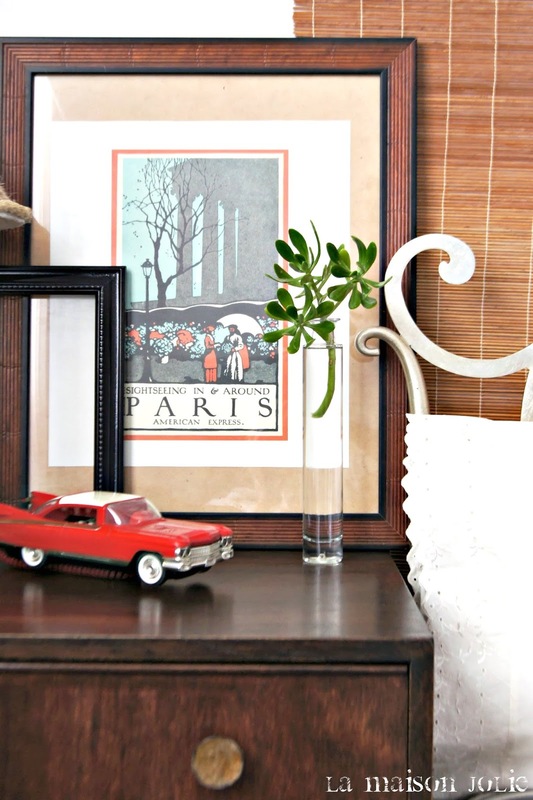 Once the room is complete, I might put the framed poster up on the wall to free up some space on the dresser, just to be a little practical when guests stay over. I'm still doing up this guest room. Promise to share some more pictures soon. Also coming soon study/second guest room makeover, so watch this space! It makes my day every time you stop by for a visit! Hi Rani. The dresser is awesome. 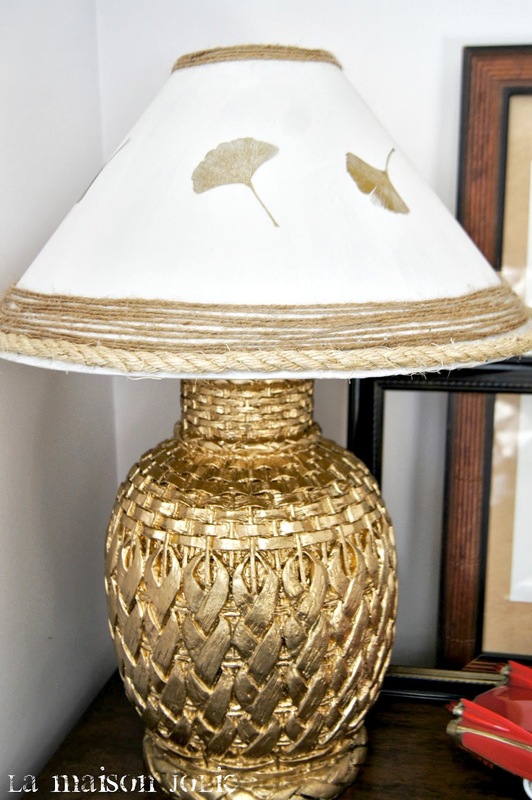 And when I first saw the gold painted lamp base I thought it was one of those high end pineapple lamps. 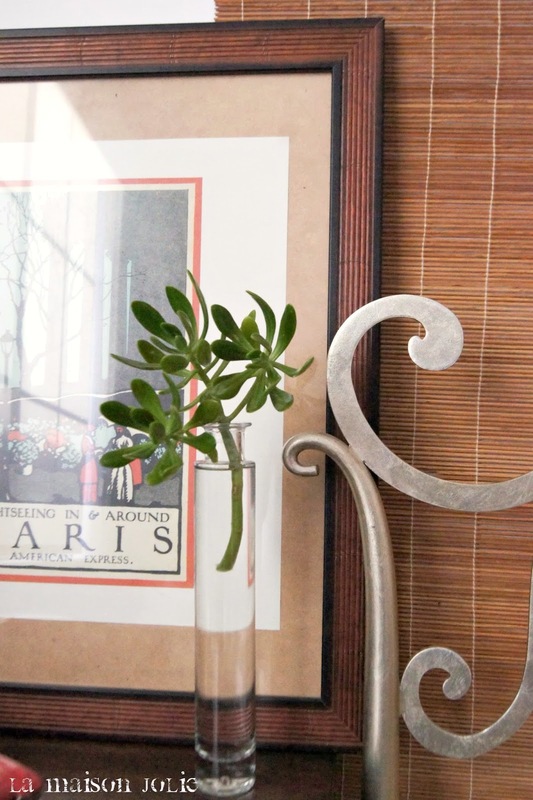 It all looks lovely...and on a budget - even better! Nice job on the chest. What a lot of work...but so worth it to get what you want. 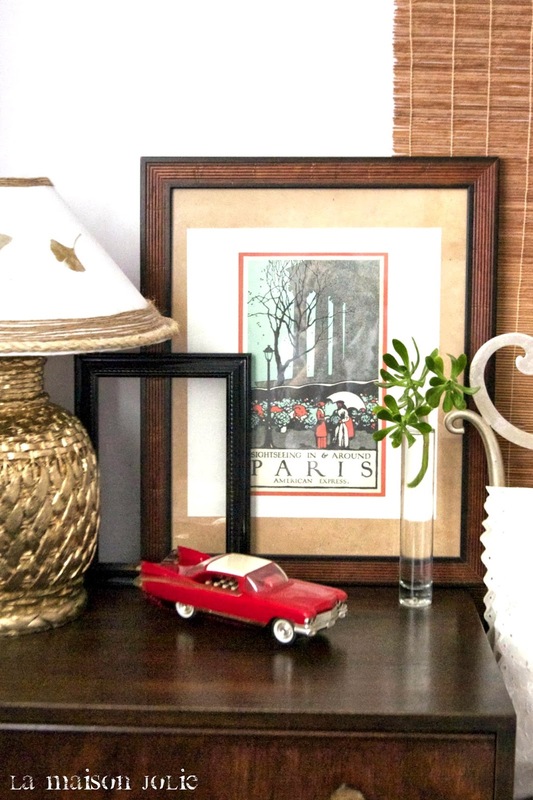 Love your vignette and all the thought that went in to it, too! It looks absolutely gorgeous Rani!!! Heavens! What a difference! Lovely! I just love how it turned out! 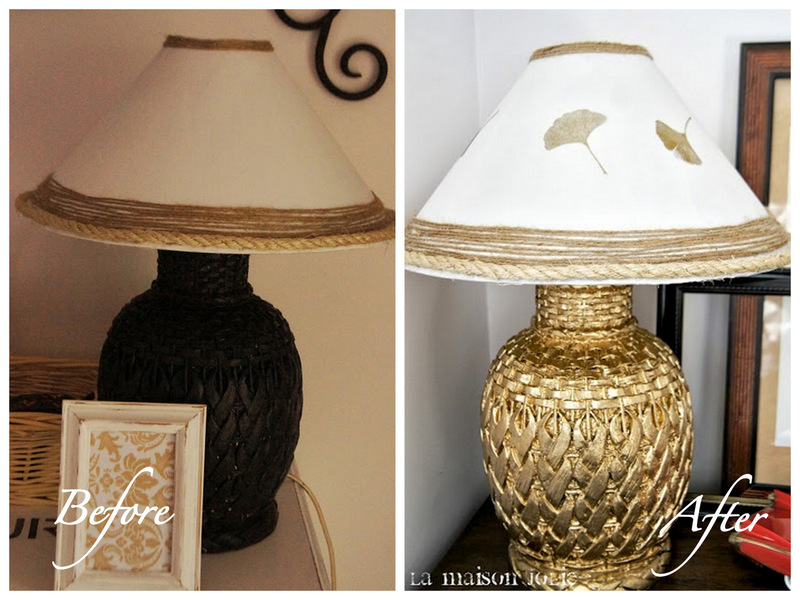 The lamp is a looker, too! Thanks for sharing with us this week at Monday Funday!